Choi Soon-sil, the mysterious woman accused of interfering in state affairs using her decades-long relationship with President Park Geun-hye, returned to South Korea on Sunday, capping a week of turmoil that sent the nation into a state of shock and sparked a massive anti-government rally over the weekend. State prosecutors investigating allegations of Choi’s influence-peddling did not take her into custody or send out a subpoena to question her right away. “Usually when a person (wanted for questioning) returns from an overseas trip, we give the person a day (to rest),” an official at the Seoul Central District Prosecutors’ Office told reporters, adding on to the office‘s earlier stance that it had no plan to summon her within the day. Opposition political parties immediately lashed back at what they saw as the prosecution’s collusion with power. “There have been blatant attempts over the past few days to conceal the truth,” said Rep. Woo Sang-ho, floor leader of the main opposition Minjoo Party of Korea. The party’s floor spokesperson Rep. Ki Dong-min also said through an earlier statement that by putting off the prosecutorial questioning, Choi once again proved herself to exist above the nation and its law. Meanwhile, the prosecution’s special investigative team continued its “raid” of the presidential office for a second day Sunday, without physically searching offices where they were denied access for security reasons. “Since Cheong Wa Dae informed us of its decision to disallow our entry to the premises, we have no intention to forcefully enter,” the official said. Instead of actually searching the offices for potential evidence, the investigators make requests for certain documents and Cheong Wa Dae provides them, he said. Shortly after Choi’s return, her lawyer apologized on her behalf. 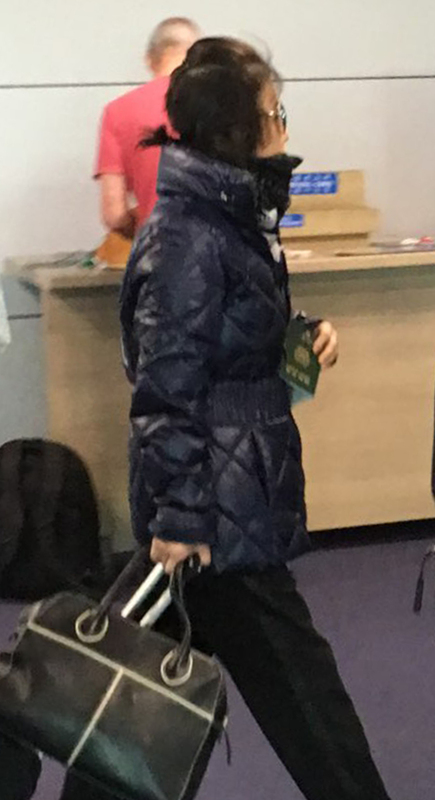 “Choi returned back home voluntarily in response to a prosecutorial summoning and shall faithfully cooperate in the investigation,” said Lee Kyung-jae, the legal representative speaking for Choi and her daughter, at a press briefing held two hours after Choi landed at Incheon International Airport. Choi did not make her appearance at the press conference, nor did her daughter Jeong Yu-ra, whose current location the lawyer did not reveal. The prosecution confirmed that Choi arrived in Seoul at 7:30 a.m. from London’s Heathrow Airport via a British Airways flight. “We have asked the investigators in charge for some time so that Choi may recover from her recent health challenges, as well as from the long trip,” the lawyer said. 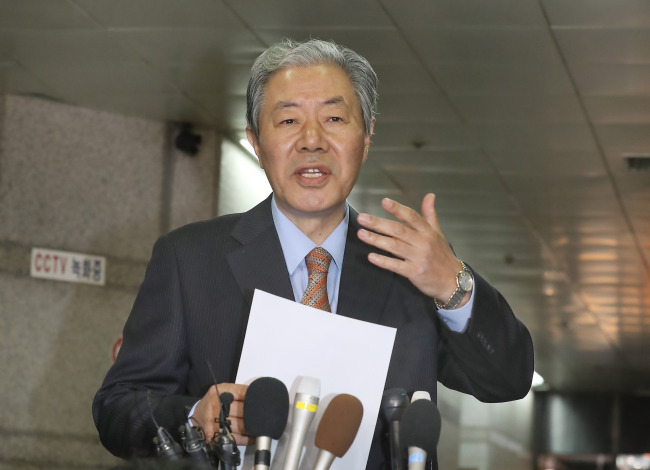 Choi’s return came six days after President Park apologized to the nation for consulting with Choi, who has never held public office, on confidential information. The apology has failed to calm the public, as a candlelit rally was held in central Seoul on Saturday demanding answers from Park. Since evidence -- computer files obtained by TV network JTBC -- surfaced last Monday suggesting Choi has meddled in state affairs, there have been calls for the president to step down. Consecutive reports showed Choi making key policy decisions for Park, ranging from wardrobe choices to editing speeches. She is also suspected of raising some 80 billion won ($69.7 million) in slush funds from conglomerates through the Mir and K-Sports foundations, which are backed by the government. “Choi has expressed her sincere apologies for causing frustration and disappointment to the people,” her lawyer said. But he refused to elaborate on charges raised against her, claiming it is the investigators’ role to find out the truth by questioning Choi.